For your property to remain valuable and aesthetically pleasing, it requires a reliable floor. 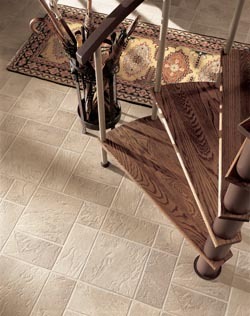 Here at Flooring America, we stock an effective, durable solution: the finest luxury vinyl flooring in Linton, IN. Through the more than 41 years we’ve been in business, we’ve been supplying the locals with floors that are as beautiful as they are practical, compliments of our nationwide buying power. Other companies may carry luxury vinyl tile and planks, but they can’t offer you the level of service that we do. Our professionals are on hand to guide you through the showroom, answer questions, and set up your consultations and installations. There are even after-hours appointments and “Shop at Home” service available for those who can’t make it in during our normal business hours. We also offer financing for those who need help from a financial standpoint. Ask our knowledgeable staff about the process, and they’ll walk you through it. This is one place where everyone can get the flooring they need. Contact us to begin your next project. Consultations are available for the residents and proprietors of Linton, Indiana, and the neighboring areas.